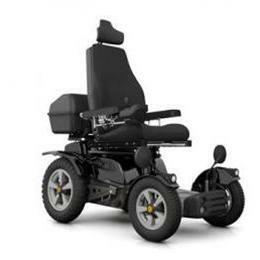 The X850 is not just an ordinary wheelchair. Far more than that, it is a powerful vehicle for cross-country runs as well as roads, developed and built as the ideal outdoor chair. It has a sturdy construction, efficient rear-wheel drive and ESP (Electronic Steering System), a very robust suspension system combined with the versatile Corpus seat to take you anywhere you want to go, far beyond the beaten track.